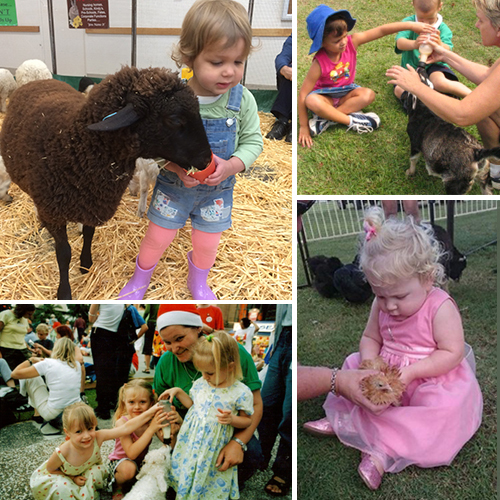 We know adults enjoy the baby animals as much as the littlies and our babies love your toddlers! 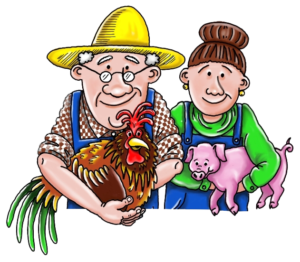 We can set our farm up in your playgroup’s yard, park or even a private backyard. Tent covering provided for most weather conditions. Children and adults are able to interact in our enclosure so that all handling of the animals is controlled and safe for everyone. You will soon see how the animals love being around your children. Bottle feeding, hand feeding and brushes to groom our babies are part of our farm visit. Playgroups love to have Old Macdonald’s Farms as part of their Christmas Break-up Celebrations. Our friendly presenters will ensure that you thoroughly enjoy your encounter with our four legged friends. For health reasons antibacterial hand gel is provided. Please remember to see that children wash their hands with water as soon as possible. 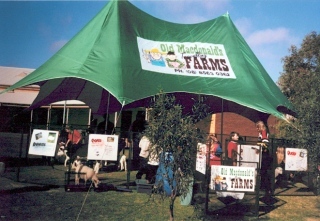 All Old Macdonald’s Farms are covered by Australian Public Liability Insurance.